I’ve not got much time to note anything much about this building at present – am still wading my way through the comprehensive Assessment of Environmental Effects – but so I thought I would post it up here in the mean time in case any of you lot have any comments you wish to make. It is, as noted in the DomPost the other day, proposed for the bus interchange, just near the old Thistle Inn. It is in for Resource Consent at present, and unusually, is available for public comment. 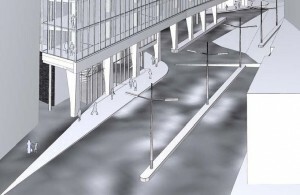 The reason for this is at least partly because the building is proposed to be built out over part of the bus interchange itself, and buses will have to weave their way in and out of the columns at ground floor. “The proposal acknowledges the intimate scale of the listed building and draws on that scale to articulate the Kate Sheppard Place elevation and the proportions of the public arcade and lobby spaces with this scale. The proposal is sympathetic in its use of contrasting materials by consciously not seeking to mimic those authentic cladding materials of the heritage building. Similarly, by articulating proposed cladding and scale with reference to that of the heritage building the proposed development maintains and conserves that scale and those values inherent in existing materials and finishes and the patina that those elements have amassed … the proposal seeks to embrace original and currently obscured openings as part of the public access route through the site”. And this, from a few years back, is what it was going to look like originally. This is a particularly windy area due to Ruderford House. It would seem to me that the idea of having another tall building over the bus interchange would actually intensify the wind. Making it even more unpleasant for all those walking around this area or using the buses. 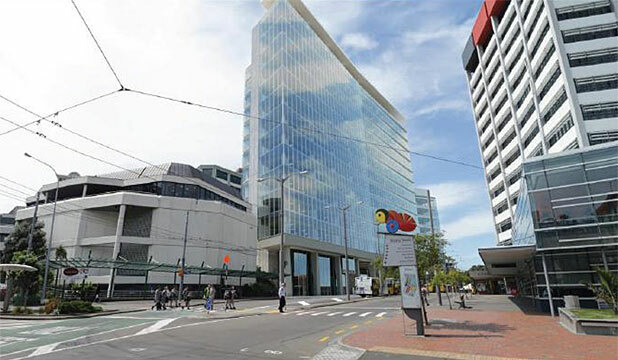 In addition the building height does not relate well to the High Court Building, Environment House or the small heritage substation which form part of this block. Good points Eastie but it looks like business as usual. 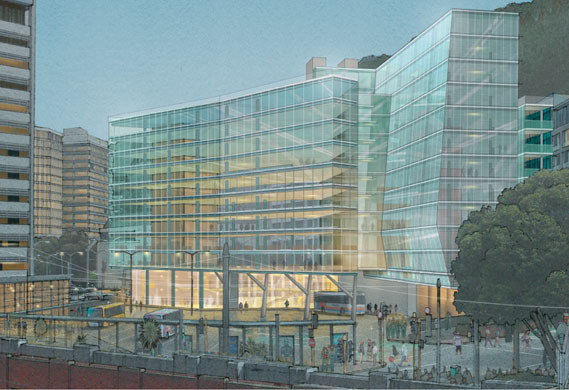 The right developers with the approved architects and anything is possible in Wellington. Also, isn’t this being built on the site that the Council had to agree to purchase in a closed session last year. Seem to recall Richard MacLean saying the land was required for the extension of the bus interchange. Did anyone else go to the Government House open day today? I’d not been there before and didn’t have much of an idea what the building looked like. It turns out to be mock tudor with greco-roman columns. There is a terrace with stonework that would have looked just fine at an Italian palazzo. Inside is an impressive mix of different carpets, chandeliers, and nicknacks. Decorative items that I wouldn’t have in my own home are proudly displayed. There are autographed photos of the current royals on a piano. There is a room full of paintings of English kings, including serial killer Henry the 8th. I thought the mix of exterior styles and materials was a mess and I was unimpressed with the random interior. But I’d like to hear what others think. I’m guessing you may have been at the opening, but for the uninformed the Long Live The Modern exhibition is on at Sarjeant Gallery.